Serve and learn with OUHK! 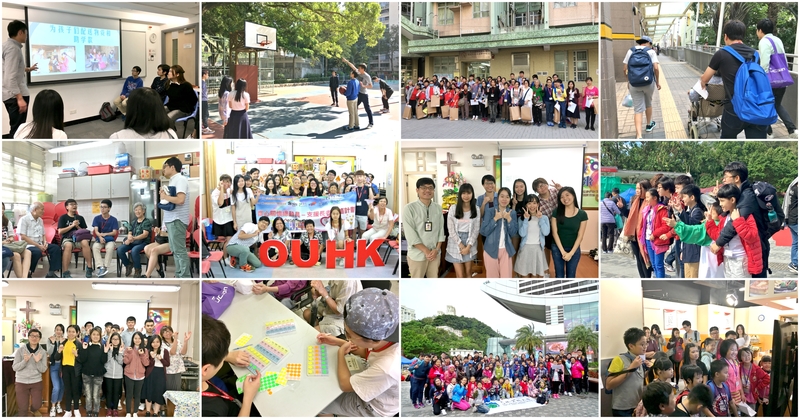 The OUHK Volunteer Team is determined to provide a wide spectrum of local and international volunteer and leadership training exposures to students of different interests and strengths. Service learning cannot be possible without students’ support. A variety of service learning initiatives is planned to equip OU students in building their personal service portfolio and experiences while contributing to the community at large. Areas include children and youth, elderly, minority groups, environmental protection, non-profits marketing and promotion collaborations, and more!